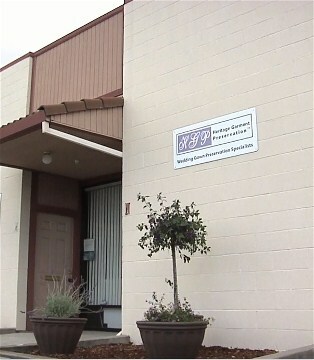 Save 10% on any product or service during the month of August 2012 as HGP celebrates our Grand Opening of our new office and work space herein Benicia, California. Please use the discount code: GrandOpening during checkout to receive your discount. Our new location provides us more room for our growing business. We have space for more wedding gowns, christening gowns, uniforms, etc. And of course we also sell preservation supplies for the do-it-yourselfer as well as wholesale supplies for dry cleaners. We will also be open each Saturday from 9 am until noon throughout the month of August as part of our celebration. Our regular hours are 9 am until 4 pm Monday through Friday. But we are often able to accommodate late afternoon or an evening appointment if you happen to be passing through at that time. Just ask us if it will work. We always try to accommodate our customers as best we can.